We have the experience, skills and resources to aggressively pursue our clients' rights on issues of securities fraud, corporate governance, competition law and consumer protection. Kaplan Fox is a leading national law firm focusing on complex litigation with offices in New York, San Francisco, Los Angeles, Chicago and New Jersey. 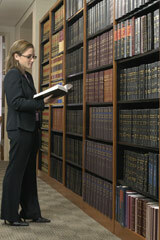 With over 35 years of experience in complex litigation. Kaplan Fox offers the professional experience and track record that clients demand. We have the experience, skills and resources to aggressively pursue our clients’ rights on issues of securities fraud, corporate governance, competition/antitrust and consumer protection. Through prosecuting cases on the federal and state levels, Kaplan Fox has successfully shaped the law through winning many important decisions on behalf of our clients’ rights. Our securities practice is one the most respected in the country, and we advise institutions, large and small, on a wide-range of matters regarding the securities laws. In 2009, Kaplan Fox was named one of the top plaintiff securities litigators by Law360 recognizing our work in high profile and complex securities class actions including In re Merrill Lynch & Co., Inc. Securities, Derivative & ERISA Litigation, In re Bank of America Corp. Sec., ERISA & Derivative Litigation, In re Fannie Mae Securities Litigation and In re Ambac Financial Group, Inc. Securities Litigation. Kaplan Fox also serves a growing number of institutional investors in shaping good governance practices, supporting them through a complement of legal services geared toward shareholder protection. As part of our litigation core, we maintain highly regarded Competition Law and Consumer Practices. We have been involved in some of the largest antitrust recoveries in history, collectively recovering billions for those injured by antitrust violations. Amongst our significant achievements are highly recognized cases including; In re High Fructose Corn Syrup Antitrust Litigation, In re Flat Glass Antitrust Litigation, and In re Hydrogen Peroxide Antirust Litigation. Kaplan Fox’s consumer protection attorneys have represented victims in a broad array of misconduct in the manufacturing, testing, marketing and sale of a variety of products and services, and have regularly been appointed as lead or co-lead counsel in consumer protection actions by courts throughout the nation. Our consumer protection practice has resulted in not only financial recovery for consumers but also important and significant changes to protect consumers from further harm relating to products ranging from credit cards to kids toys.